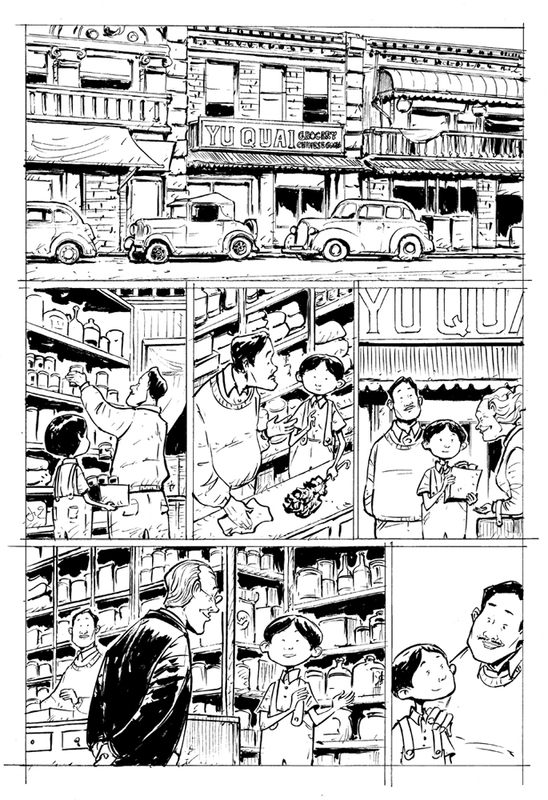 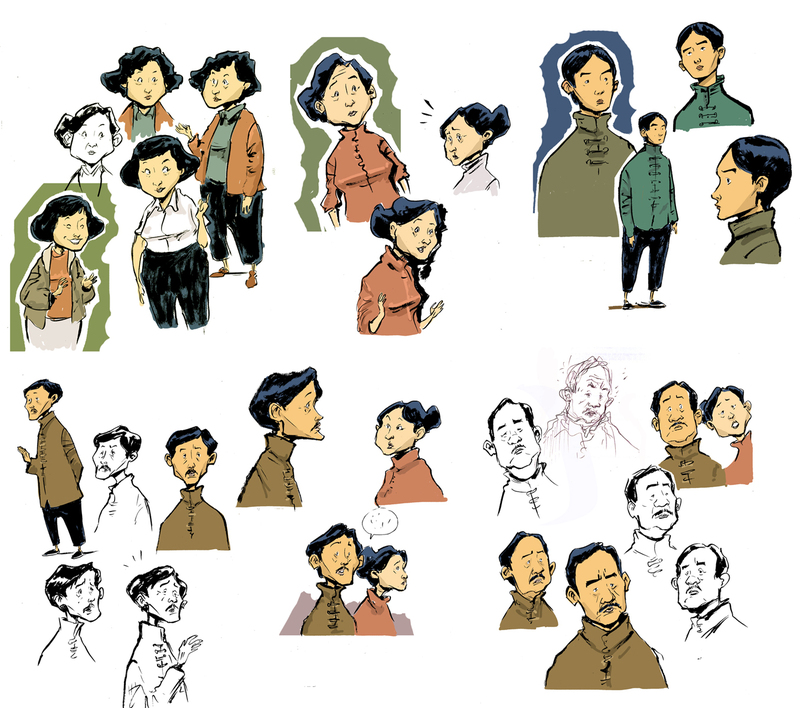 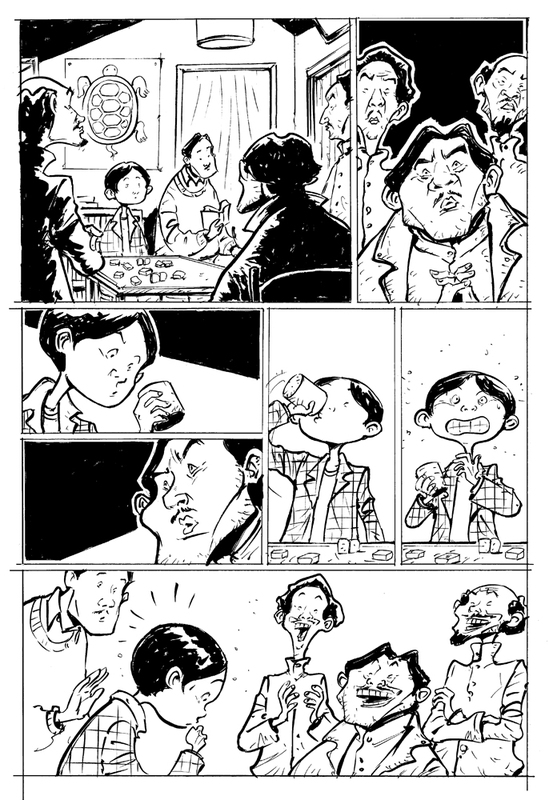 Some inked pages from a new comic for First Second Books with Gene Yang (who wrote and drew the multiple award winning “American Born Chinese”); we’d worked on a story for Secret Identities a couple of years back…. 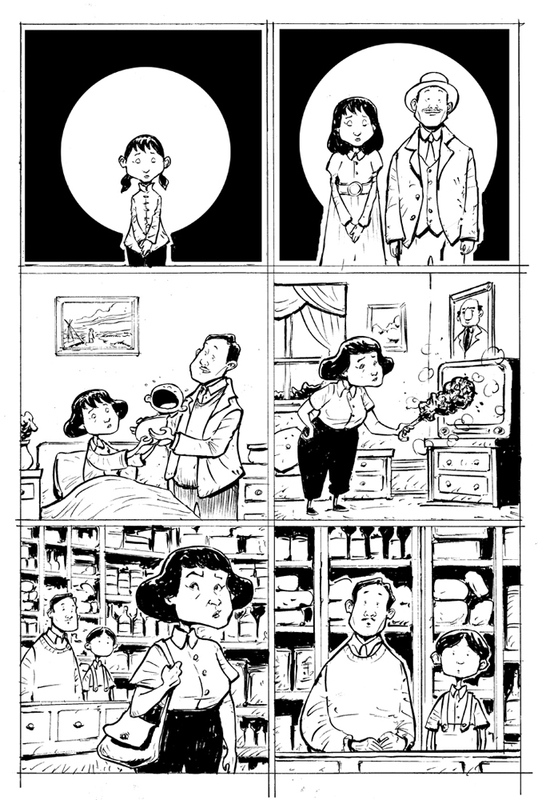 The title’s still a little up in the air, pending this and that :p Still trying to get the inking up to speed, experimenting with a variety of brushes and pen brushes. 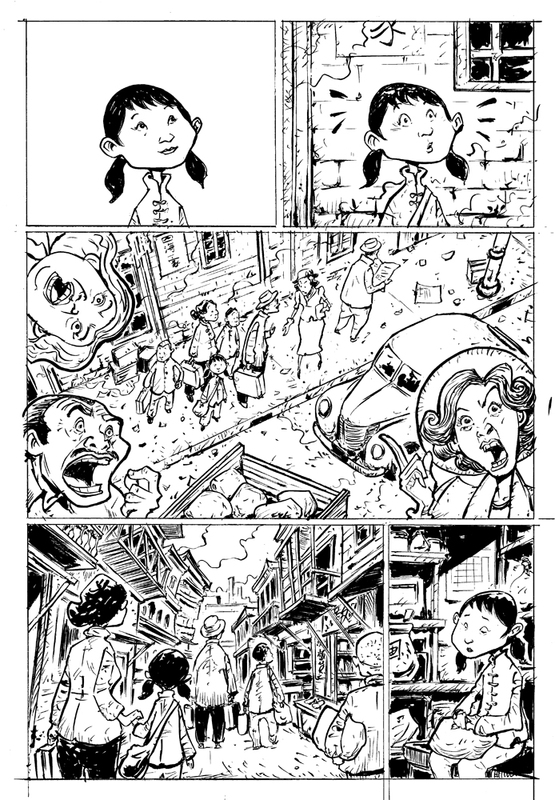 The Pentel pocket brush is pretty good but gets a little heavy after a couple of hours of usage….